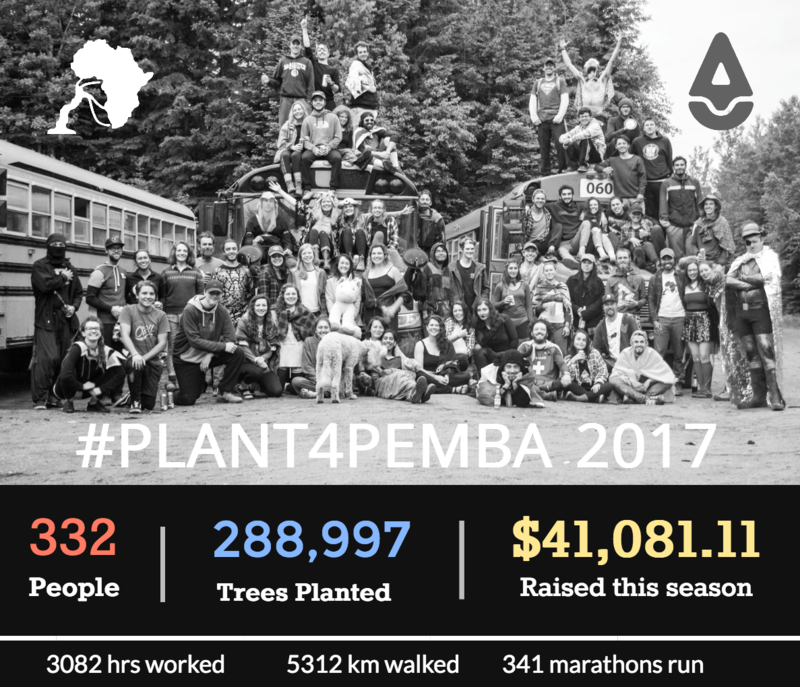 2017 was another landmark year for the Pound 4 Pemba fundraiser. This year 332 planters, staff, and supervisors donated all or a portion of their day's earnings to help vulnerable communities on the Island of Pemba adapt and thrive in the face climate change. Over the years, the fundraiser has grown from the earnest efforts of 1 camp coming together to buy netting for community nurseries, to a company-wide celebration of the culture and spirit of solidarity and generosity that drives positive change. From empowering women with the training and support they need to grow food and start businesses, to helping farmers transition their land to diverse and resilient food forest systems, Community Forests Internation and the B&A crew have come a long way in growing grassroots change in Pemba. This year we raised a total of $41,081.11 in 9 camps in B.C and Ontario this year. That is over 1/4 million trees Pounded for Pemba! With an additional $10,000 generously donated by Brinkman! We also received a very special donation of $1000 from Justin Chingee in honour of incredible friend and fellow planter - the late, great Alex Robertson. Pound 4 Pemba is a huge part of why Pemban communities continue to thrive and innovate on their island and we can't thank you enough for your incredible support. The Final Numbers (photo: Top donors - Tony Hisco's camp near Upsula Ontario raised over $9000 in one day!). 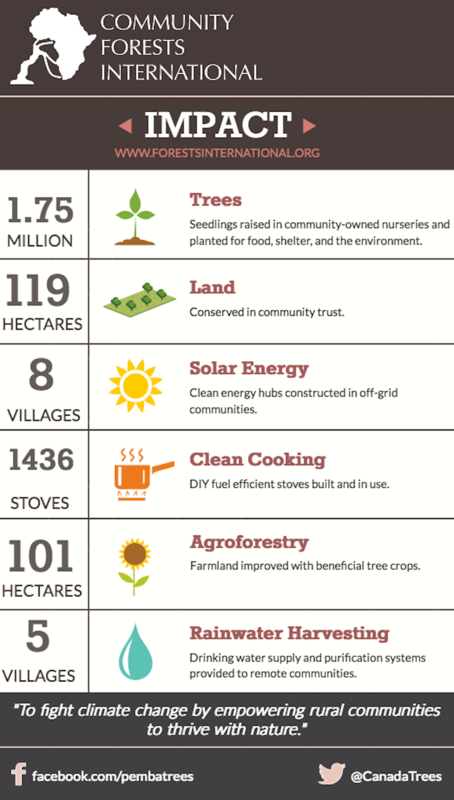 This year, we also challenged the public to match tree planter generosity through our Crowdfunding campaign (still open if you want to share the video or challenge a friend or family member) and courted corporate sponsors to match the tremendous effort of tree planters like you. 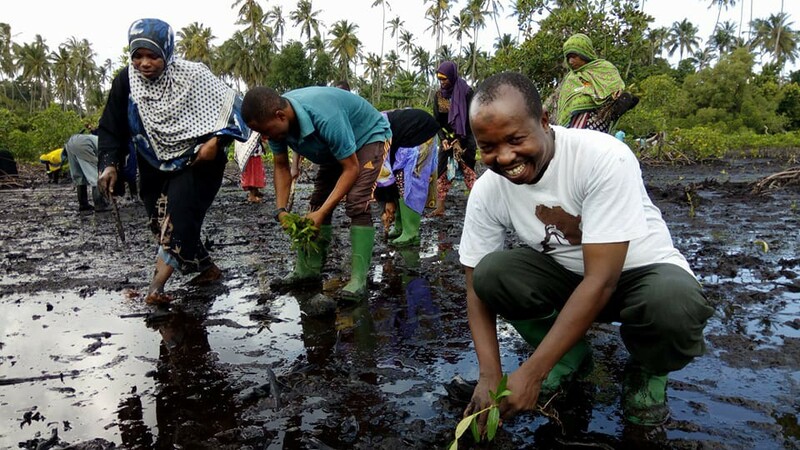 Mbarouk and community members in Micheweni, Pemba restoring coastline with mangrove seedlings in solidarity with Canadian tree planters during Pound for Pemba 2017. Pound 4 Pemba is how a tree becomes a forest. How our collective efforts are leveraged by the European Union to land $248,630 in Pemba. 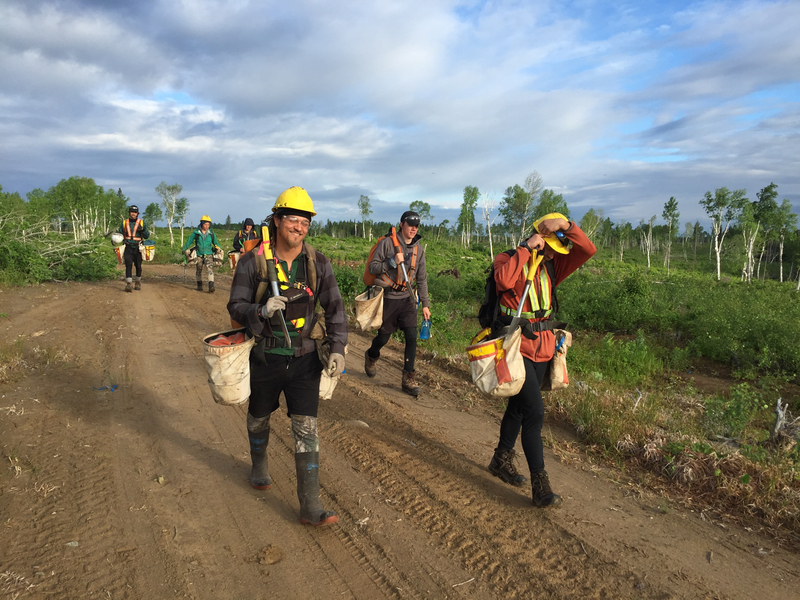 How a group of tree planters acting for change becomes a movement halfway around the world. P.S. I posted some photos from the tour on our Flicker site. If I took a photo of you on the block, that is where it can be found. From all of us in Canada and Pemba, Asante Sana! Thank You!